Washington : Six NASA scientists who have been living a life in Mars-like habitat from past eight months have finally stepped out. 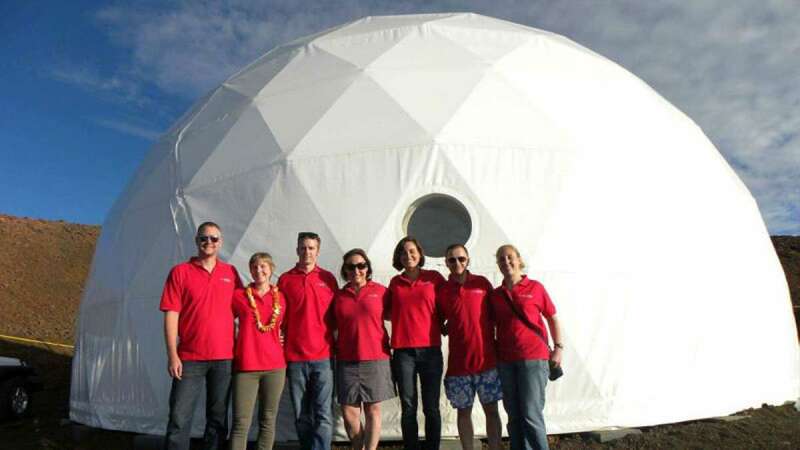 They were isolated since January in Hawaii to determine psychology and requirements during manned space missions. Four men and two women were quarantined on a vast plain below world's largest volcano Mauna Loa in Hawaii. They stayed their for approximately eight months to better understand how astronauts will respond mentally, physically, and most important, psychologically when on an actual long term manned space mission to Mars. "Long term space travel is absolutely possible," Laura Lark, specialist at the Hawaii Space Exploration Analog and Simulation (HI-SEAS) project, led by the University of Hawaii at Manoa, was quoted as saying to the inquisitr.com on Saturday. "There are certainly technical challenges to be overcome. There are certainly human factors to be figured out, that's part of what HI-SEAS is for. But I think that overcoming those challenges is just a matter of effort. We are absolutely capable of it," Lark added. The experiment was injected with all kind of possible situations on the Red planet, from being forced to live in the cramped habitat of the dome to having to rely solely on packaged food - and virtually no contact with another living soul. The atmosphere inside the habitat was kept similar to Mars would be. Allform of communication from the astronauts inside to the outside world was subjected to 20-minutes delay.